Is this really how the EU sees motorcyclists? – cartoon used in a presentation from the European Commission Enterprise and Industry on the Framework Regulation to the Working Group on “Motorcycles” (MCWG) 11th January 2011! On the 11th January the Motorcycle Working Group (MCWG) will meet to discuss the status of the Commission proposal for a Regulation (codecision act) of Council and Parliament on type-approval and market surveillance of L-category vehicles. Working groups are set up by the Commission to assist in proposing EU legislation or exercising tasks of monitoring and coordination/cooperation in relation with EU policies. These groups provide expert advice to the Commission. They may consist of national experts but also experts or stakeholders from business, NGOs, trade unions, academia, etc. We tried to get involved directly in the Motorcycle Working Group meetings held by DG Enterprise, but we were told that we need to have a representative in Brussels. Our view is that this is undemocratic and accordingly stifles any representative opinions that are not in consensus with other representative participants with regards to motorcyclists in Northern Ireland. Functional safety of a vehicle; and/or – Environmental emissions; and/or – Environmental noise. The overall objective of the study is to identify undesirable vehicle modifications that have adverse effects on the functional safety and/or the environmental performance of the wide range of L category vehicles. The study in this aspect says, “‘Harmless’ modifications – e.g. those with no adverse effects on safety or the environment will not fall under the scope of possible anti-tampering measures.” and continues that, “Special attention shall be paid to the impact on SMEs (Small Medium Enterprises) and on the freedom of customising culture from the vehicle owners. The scope of the study will also look at the performance criteria for L-category vehicles with respect to their exhaust gas and evaporative emissions as they and their components age, in terms of their environmental performance over vehicle life. In other words when you purchase a vehicle its emissions should stay within certain limits especially as the regulation will look at testing and enforcement. The overall timescale of the study will be 11 months and commenced in December 2010. The TRL are seeking the help of key stakeholders, including: traffic police – type approval authorities – technical services – periodical technical and road side inspection authorities – vehicle taxation authorities – driving licence authorities – riders associations – automobile clubs – insurance companies – L-category vehicle manufacturers and Tier I suppliers – aftermarket component suppliers and independent repair industry – specialised L-category racing vehicle manufacturers and engine tuners. This all looks very promising however the main project will update the TÜV Nord (2003) study, which we considered to be seriously flawed because it was unable to provide evidence that tampering was widespread, so we fear that the objective of the TRL study is to turn a sows ear into a silk purse. The final report will contain an impact assessment detailing the economical, environmental, safety and societal impacts for the recommended options. 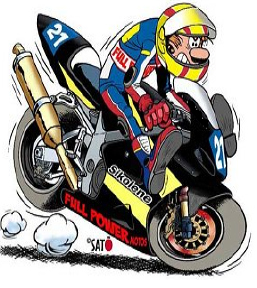 On the issue of Advanced braking systems JAMA (Japan Automobile Manufacturers Association) are proposing that Enduro and Trial motorcycles are exempt from the mandatory fitting of advanced braking systems. The reason is because these motorcycles are controlled with intentional wheel lock in case of need. Although this is a sensible proposal our position still remains that we oppose any compromise that suggests acceptance of the mandatory fitting of Advanced Braking Systems (ABS).